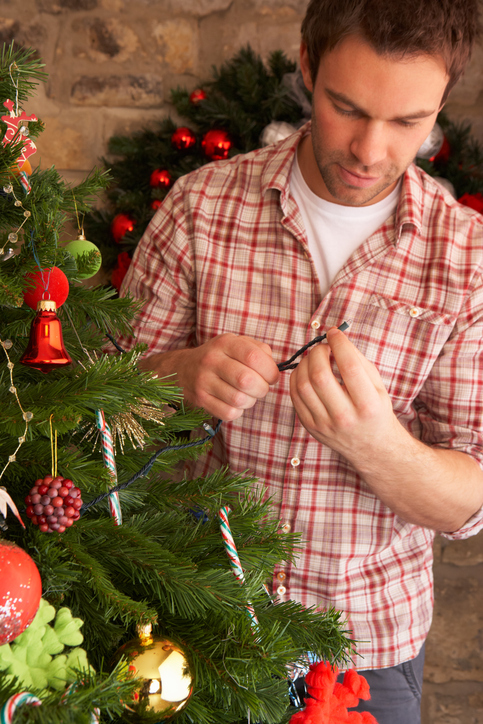 Are you stuck with strands of old Christmas lights that don’t work anymore? Or maybe you’ve heard about energy-saving LED lights and want to toss out your old traditional lights in favor of new ones? Perhaps you just don’t decorate as much as you used to, and want to clear out some clutter. 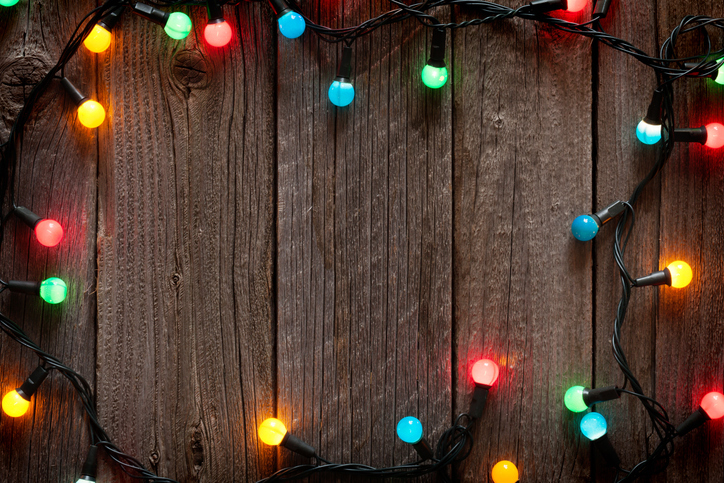 No matter what the reason, resist the urge to throw old holiday lights in the trash. Christmas lights are made from copper, glass, and plastic—valuable materials that can actually be recycled and reclaimed. Recycling companies collect millions of pounds of old lights every year and ship them to reclamation facilities. The facilities will crush the lights, separate the individual materials, and then bundles those off for reuse. It’s a way to “mine” existing products to reduce the need to go after virgin resources—which is why it makes environmental sense. In addition to reducing waste, recycling your old lights gives you the chance to purchase new lights that are LEDs. ENERGY STAR certified LED holiday lights are 75 percent more energy efficient than incandescents. They last longer, too, because LED bulbs are not nearly as fragile as the thin glass bulbs on the old lights. Though the white LEDs take a little getting used to, the colored lights are just as delightful as the old mini lights you’re recycling. Plus, some organizations collect old lights, then make a small fee when they sell them to recyclers. They use the fees to help support their holiday charitable giving programs. Contact your city’s municipal solid waste office. Many will recycle the lights if you drop them off, so give a call and ask. They may have even set up a collection day for old lights or be able to direct you to a local drop-off spot. Ship your old lights to Holiday LEDS Recycling. Pack up your lights in a box, cushioned by some wadded-up newspaper, and ship them regular mail. Ask your neighbors if they’d like to ship their old lights, as well. The company says there’s no reason to send the lights express. Once the company confirms shipment, they’ll send you a coupon good for 15% off the purchase of new lights from HolidayLEDs.com. Please note that this program is only active until the end of January. The shipping address is: Holiday LEDS Recycling, 13400 Watertown Plank Rd., Suite 34, Elm Grove, WI 53122. Drop off your lights at MOM’s Organic Markets. If you live in Maryland, Pennsylvania, Virginia, or Washington, D.C., you can drop off your old lights at any MOM’s Organic Market. MOM’s will then pack up all the lights they receive and ship them to HolidayLEDs.com. Here’s a full list of hours and MOM’s locations. Mail your lights to Christmas Light Source. This program is active all year long. Based in Dallas, TX, they work with a local recycling company that recycles the copper, glass, and plastic. The recyclers pay Christmas Light Source a small amount per pound of lights, similar to the way you get money in exchange for recycling aluminum cans. All proceeds from the Christmas lights recycling program are used to purchase educational books and toys donated to Toys for Tots in early December. Like the HolidayLEDs Recycling program, Christmas Light Source recommends you send them the lights the cheapest and slowest way. Their mailing address is: Christmas Light Source Recycling Program, 4313 Elmwood Drive, Benbrook, TX 76116. At the end of the holiday season, get in the habit of shipping broken light strands to Christmas Light Source or Holiday LEDS rather than tossing them out or packing them up with the rest of your holiday decorations. Keep a box handy to pack the lights in as you take them off your tree or down from around the house. Then you can easily mail them off without much hassle. Perhaps each year, one person in your neighborhood can collect all the broken lights from nearby houses and get the lights shipped off for everyone. Over time, as you replace your old lights with more durable LEDs, you’ll end up saving time and money because you’ll spend less shopping for and replacing old lights. Now that’s something to feel festive about!